Argo - ia a comfortable family villa that accepts tourists and businessmen from different countries of the world. 36 rooms of various categories, design of which is made in the calm European style are at service to those who have chosen "Argo" as a temporary residence. 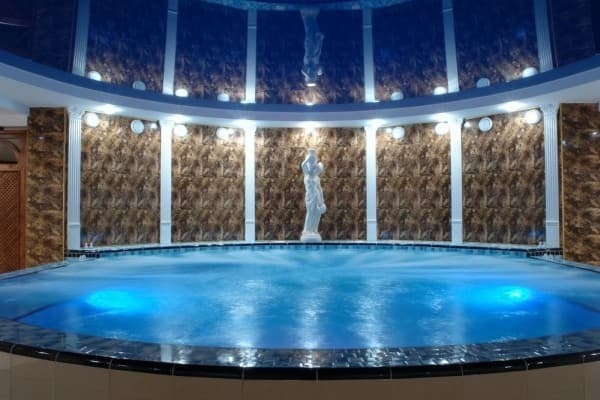 Infrastructure: a pool, bar, restaurant, cinema, conference-service, gym, spa-centre: - hamam, sauna, hydrohall, cosmetologist's and masseur's service, pebble beach 600m from the villa, a guarded parking, 0-24 hot and cold water. 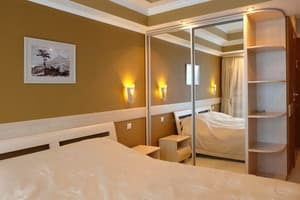 Description of the room: In this room there are: a wide double bed, wardrobe with glass doors, air conditioner, refrigerator, telephone, toilet, hair dryer. Description of the room: In this room there are: a wide double bed, dresser, mirror, work desk, air conditioner, television, refrigerator, telephone and bathroom. Description of the room: The Room of this category has two levels: at the second level of by a staircase, where on an open platform is a large bed. There is air conditioner, television, refrigerator, telephone, toilet, mirror and shower, hair dryer. 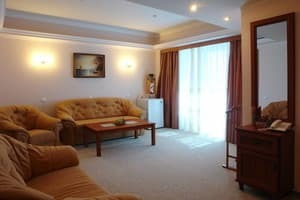 Description of the room: The area of ​​the room is 36 sq.m. In the double room there is a double bed, a sofa-transformer, 2 armchairs, cold and hot water. Children under 3 are accommodated free of charge without giving an extra place. 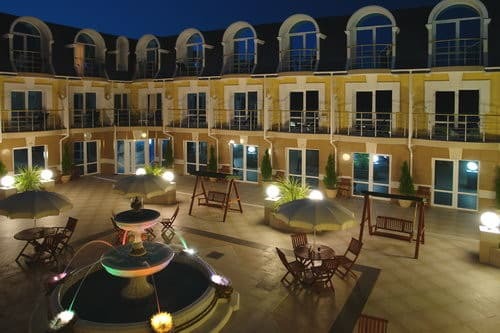 The extra place - 30% from the room price. A tourist coplex "Argo" is situated in the picturesque village Malorechenskoye 25 km from Alushta along the Sudak highway. You can reach us from the railway station in Simferopil by fixed route taxi that goes to Rybachye.